UNST Communication Goal: Students will enhance their capacity to communicate in various ways—writing, graphics, numeracy, and other visual and oral means—to collaborate effectively with others in group work, and to be competent in appropriate communication technologies. – Portland State University, 2016. 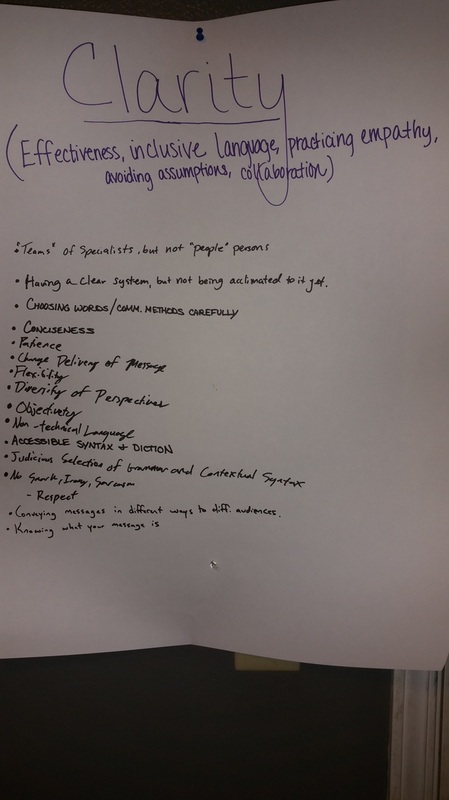 *We came to these six major points of Communication by brainstorming as a class at the beginning of the term. These important types of communication were what we felt were crucial to effective communication. 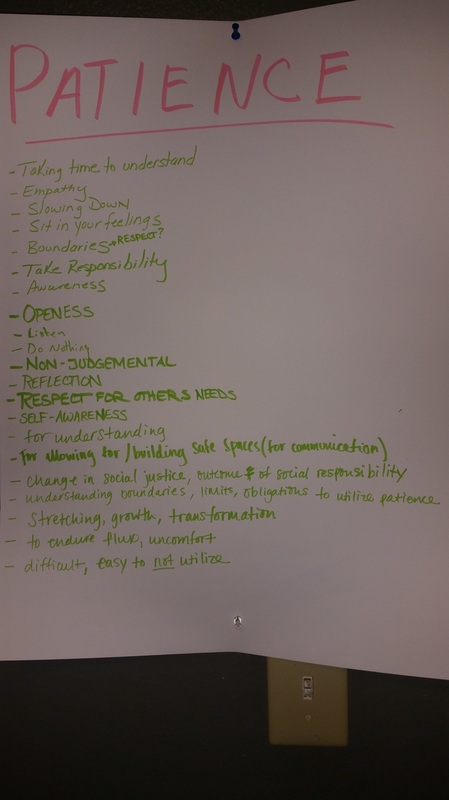 We broke into different groups and brainstormed how each of these were presented in our own lives through our volunteering positions, majors, and person lives in communicating with others. 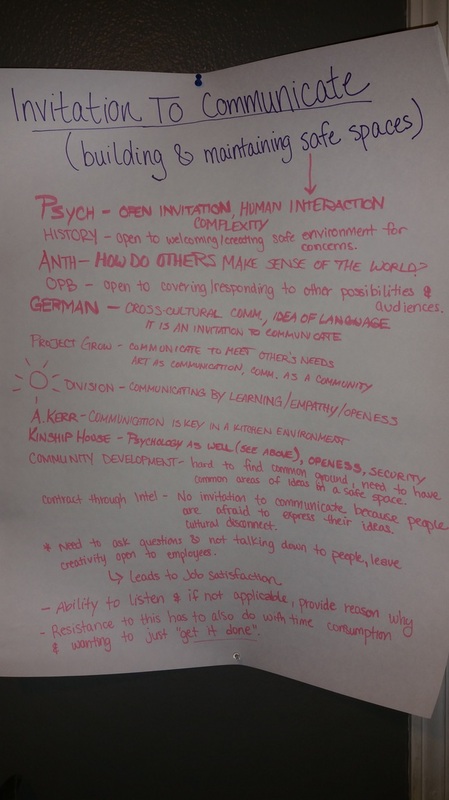 Each group had a chance to be at each of the 6 different posters for the main components of communication. The main themes of clarity that we touched on were that we need to be respectful of others' perspectives and concise with what we say to be clear to others what message we are trying to convey. The main themes of respect were being tactful with how we talk to others and having a willingness to communicate and have report with others. This helps other people feel comfortable to share their feelings if they feel equally important and apart of the ideas. Also respecting that everyone is different and had their own ideas and wisdom to bring and we need to show appreciation for those differences. 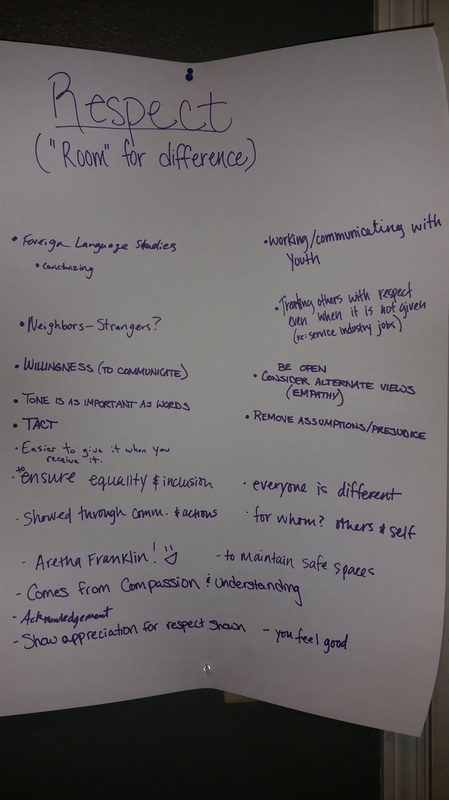 ​The main themes of invitation to communicate were how one each of our different areas of study/ volunteer work, we need to maintain a safe and welcoming space with respect to allow others to feel comfortable to communicate their ideas to the group. As a result, this will allow the community to grow in knowledge and work well together and development because everyone will feel heard. 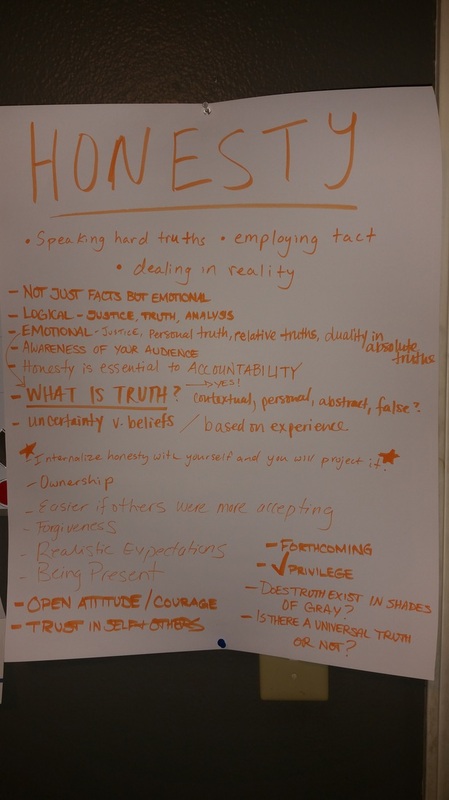 Communicating honesty with others is necessary in order to have accountability and a healthy relationship with others. Also, we talked about how we need to be logical and know our audience to make sure we respect their emotions and feelings while communicating with them. Communication also includes patience. If we are not patient with others, they will not feel comfortable to communicate ideas and will feel judged. If we are patient, this allows others to respect each other and allows for growth within the community. Sadly, this is not present in many jobs and results in employees not being satisfied because they don't feel heard and respected. We also need to take into consideration that all of us have a main learning style which contributes to different types of growth in careers and groups. 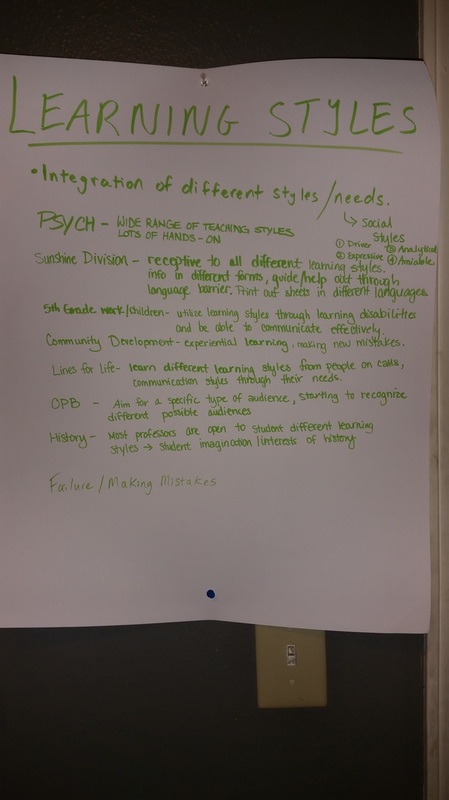 Integrating different learning styles into a curriculum allows different people to add ideas because they were inspired more based on being to utilize their learning style.